Shinran Shonin (1173-1263) composed three volumes of verses (wasan) in Japanese, namely - Jōdo Wasan, Koso Wasan and Shozomatsu Wasan. 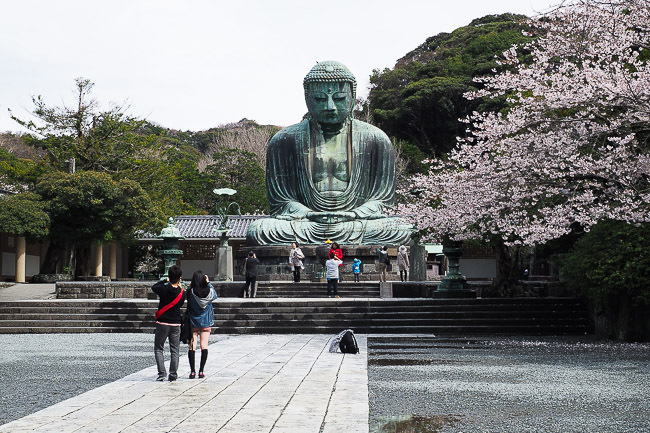 These songs celebrate the essence of Jōdo Shinshū (Shin Buddhism or Pure Land Buddhism). They touch upon every facet of the spiritual life, and the most enduring elements of the Pure Land path. Now two thousand years ago, and more. So weep, disciples of the Tathagata! Have all passed into the Dragon Palace. Amida's Primal Vow has spread. All goodness has entered the Dragon Palace. The Pure Dharma was hidden and stilled. They become like poisonous snakes and spiteful dragons. And abound everywhere like particles of dust. Rise up like mountain peaks and high ridges. And fierce attacks and bitterness prevail everywhere. So that, senselessly, beings inflict harm upon each other. There can be no liberation at all. The ninety-five teachings defile the world. The path of the Buddha alone is pure. The natural workings to benefit those in the burning house. Fierce suspicions and attacks break forth and seethe. Is that the vast ocean of birth-and-death persists without end. And utterly without a mind of purity and truth. How can we waken aspiration for Enlightenment? How is it possible to awaken such aspiration? Birth through the Nembutsu flourished. Became the source of great compassion. Afflicting passion and enlightenment have one taste. The mindfulness of Amida never weakens. Attain the stage of equal to perfect enlightenment. Achieve enlightenment at this time. And will realise supreme enlightenment. Virtue fills the entire existence of these practicers. The Nembutsu of transcendent wisdom. And are granted refuge in the Pure Land. Is the work of Dharmakāra’s Vow-power. How could we ever realise nirvana? The wisdom-eye is in darkness, yet do not sorrow. Even the bewildered and wayward are not abandoned. They change into the heart of great compassion. They will destroy my teaching in the last age. Thus it was told in the Renge-men-kyo. Without respite they suffer - thus sutras teach. Unfailingly we will attain nirvana. Cannot be accomplished through self-power. In this defiled world of the Last Dharma-age. It may be inferred how difficult it is to attain. Our flowing through birth-and-death would be endless. We are in the assembly of the rightly determined. Is taught to be the cause to the recompensed land. Is the most difficult among the difficult. Is due to the Tathagata's two-fold merit transference. How could we ever attain realisation in the Pure Land? Call to sentient beings and pull them aboard. Namu-Amida-Butsu will naturally be uttered. Depend primarily on the mind of Self-Power. They realise that no reasoning is the true reasoning. Who can attain enlightenment in the Last Dharma-age. Receive and hold us in your pity! Let us be led into the rightly determined state! By the Teacher revered by all the world. Because doubting the Tathagata's five kinds of wisdom. One stops in the border land. There is no gratitude for Buddha's benevolence. Have doubt in the inconceivable Buddha-wisdom. And so they are separated from the three treasures. That he is bound there many years and kalpas. Were kept captive in a prison. They are imprisoned in the jail of the seven treasures. And be diligent in pronouncing the Nembutsu. There are those who are confined in the lotus bud. Or are shunned for falling into the womb-palace. They expertly practice the fundamental good. They lack wisdom who are born in the womb-palace. Because they doubt the Buddha's wisdom. Is likened to being confined in a prison. And cannot provide benefits to sentient beings. Due to those conditions they have created themselves. Who remains in the provisional, transformed land. His flower will not blossom immediately. Thus he is likened to being in a womb. That is what is taught to be womb-birth. Are destined to be born in the palace. Such are taught to be as those of the womb-birth. This is what is taught to be the womb-birth. The offence of doubting the Buddha-wisdom is grave. And rely on the inconceivable Buddha-wisdom. And like a mother always accompanying us. And is always there like a mother. Broadly and extensively throughout the ten directions. Is there like a father. Is there like a mother. His immense benevolence is difficult to repay. And unfalteringly praise him in reverence. Spread widely the Tathagata's compassionate Vow. All should rejoicingly praise him in reverence. We should rejoice in continuously praising him. That there cannot be any mind of purity. We are filled with all kinds of deceit. The mind is like serpents and scorpions. And so is called false practice. Its virtue pervades the ten directions. How could I hope to benefit sentient beings? How can the ocean of suffering be crossed? I will end without shame and repentance. Inwardly revere and practice other teachings. And are absorbed in divinations and rituals. Are said to be venerable ones. They are now used for the ignoble. And revere all supernatural beings. Worship supernatural beings of heaven and earth. They have become established as lowly titles. We are encouraged to pay homage to and revere them. It is formed through delusions and perversions. There are no people of truth in this world. By Buddhists of the Southern Capital and Northern Peak. Are used as appellations for help. Called it, at that time, 'the fever' -- hotoorike. Came to call the Tathagata 'hotoke'. Hold 'monks' and 'Dharma-teachers' in contempt. Called the Buddha simply 'hotoke'. Is a manifestation of total falsity. For name and fortune, I desire to be a teacher of others.